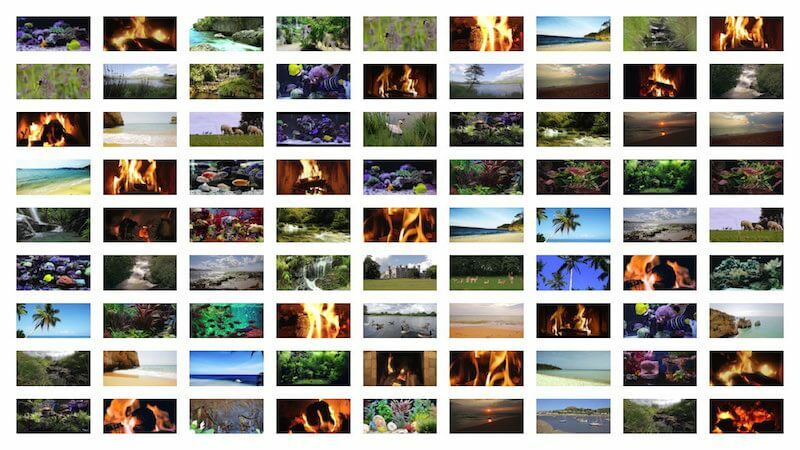 Download 100 Full HD relaxation videos in MP4 format. Each comes paired with Windows and Mac computer screensavers. Fireplaces, Aquariums and Scenery.